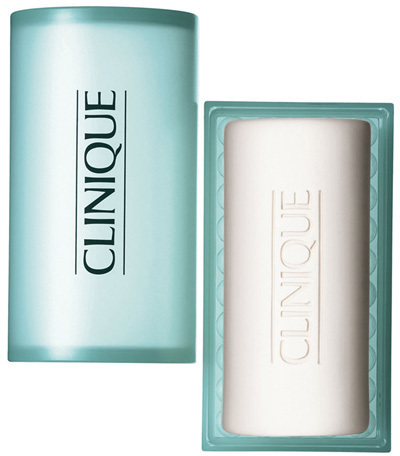 Clinique's Anti-Blemish Solutions Cleansing Bar is a mild, medicated soap that helps to clear and prevent blemishes on the face and body. The cleansing bar works to target breakouts, as well as remove dirt and excess oil to unclog pores. To use: Wash face and body using hands and warm water. Rinse well. Free standard shipping with any $100 purchase.  Good product in that it lasts a long time, and is great for mild acne. Can also be used for the rest of the body which is a plus. Very mild scent, so does not offend. My partner also uses this on his face, so mustn't be too bad! My only complaint is that it does dry skin out, so not so great for my combination skin, and I've found that it does not help with hormonal acne at all. I have a separate face wash for that time of the month, which helps much better. Overall a good, value for money product for mild acne. Good to use on the rest of your body, not just your face. Keep the soap dish somewhere dry so the bottom and of the soap doesn't get soggy! This bar acne cleanser is a fantastic product. It is especially good for treating back/ body acne and a little bit goes a long way. As long as you keep it nice and dry in a tin or case, it lasts a LOT longer than a traditional liquid acne wash. I get a fair bit of acne on my back as well as my face and this works well on them both. Although this is not strong enough for me to use as my only acne treatment, it makes the skin nice and clean. The only problem is it can be a bit drying so I have to make sure I moisturize after. I use this morning and night and am never without it as it keeps me clearer than ever, it also lasts for about 6 months making it incredibly cost effective. I really like the case it comes with too. It isn't too drying though I do moisturize right after cleansing with either Clinique Dramatically Different Hydrating Jelly or a Vitamin C hydrating cream from another brand. I find the combination works wonders. I rarely get breakouts anymore and when I do, they're tiny and not inflamed and they go away quickly. Perfect for face and body! Acne prone (including hormonal acne). I used a lot of clinique products in my tweenage as I suffered from breakouts on my face and back often. I could manage my facial acne well but Bacne was something that bothered me as I could do nothing about it. My sister is a Clinique fan and she took me to a Clinique counter when I was looking for help with my back acne (bacne) and the SA advised that I use the Clinique Anti-Blemish Cleansing Bar on my acne. She also advised that I should leave it on for a minute on the affected area before washing it off. I used it and I did notice a lot of difference. It dried out my bacne to the point that it didn't feel bumpy anymore, it didn't work on the scars but it did dry out the active acne. I still use it on my body whenever I experience any breakout/ zit. Cons: It dries out my already dry skin so I don't use it on my face and when using on body, I make sure I use a good moisturizer afterwards or a shower oil otherwise it feels uncomfortable. Leave it on for a minute before washing it off. This was much too harsh for my skin, it left my face feeling tight and stripped and extremely dry. I didn't see any improvement in acne in the short time I used it before it just became too irritating. I ended up using this on my body just for the sake of using it up. Definitely would not recommend. Use of the ABS Soap on the body is an excellent way to treat oiler skin on chest/back areas too. If blemishes (always 3 or more on the face) are a concern and you would like to try an alternative we would recommend the alternative of Anti Blemish Cleansing Foam or Gel. These cleansing alternatives will help to control bacteria, controls oil, are non-irritating (help to calm redness associated with blemishes), and gently exfoliate. If blemishes are no longer a concern, we would recommend a fragrance-free cleanse, exfoliate, and moisturise routine. The best way to triple check the right custom fit routine is via a consultation with one of our Consultants in store – are you able to make it into store? I used this product line to clear my acne but somehow it just lessened the acne but did not really clear it. Of all products included in this skin care line, I think this Anti-blemish bar did most of the work. I love the performance of this bar and I hope they could improve the entire line so as not to undermine the performance of this cleansing bar. I use this product as a part of the 3-step Anti-blemish line, and find it very effective. Not great at removing make-up, so I always make sure that all of my make-up is removed before I cleanse with this. A little bit goes a long way, so it lasts for a very long time, and the container it comes with makes it good for travel. It can be a bit drying, so if I am feeling dry, I'll alternate it with a creamier cleanser. Use it with a tool, I use The Body Shop's little facial loofah pads, a few swipes on the bar of soap and you're good to go! People with acne-prone skin who want value for money. I liked it initially, never really seems to control blemishes but it did make my skin feel really clean after I washed it. After a while though I started noticing dry patches on my skin and I have to specify here that I have very very oily skin usually. This soap didn't manage my oiliness at all, I was still very oily but also with dry patches around my mouth and forehead and cheeks if that makes sense. Makeup would cling to those patches and look gross. I have started to break out a lot recently and I have stopped using this soap and gone back to something milder. Will probably use the rest of the bar for my body instead. I occasionally get pimples on my arms/ back and decided to try this product. The soap was bigger than I expected and came in a nice Clinique soap box. I only use this on my body and I find that it works really well to clean and clear up my skin. It has a very light smell and doesn't dry out my skin. I like using it after the gym because effectively cleans my skin and helps prevent acne from appearing on my body. I received this as a sample when I purchased two other products. I usually use the foam version. But have since been converted. This product is way better! Cheaper, lasts longer and more effective. It does leave your skin feeling dry but I love that as my skin is oil prone. I will be purchasing this from now on! Use with a more hydrating moisturizer. I use this cleansing bar rather then the foaming cleanser in the anti blemish range, it last soooo much longer and it's actually a few dollars cheaper too! Great for mild to moderate acne! After using twice daily for several months my moderate acne was significantly reduced, and I now very rarely experience breakouts. The cleansing bar was also somewhat effective at minimising oil and decreasing shine. Needless to say I'm quite impressed with this cleanser. Although more expensive than comparable products from the supermarket, the product did last for about six months. I'm not overly impressed with this one. It foams incredibly easily, so it'll last ages. It feels lovely and moisturising when you're massaging it on the skin, but as soon as you rinse, the skin feels instantly dehydrated, although not tight, and I find I start flaking when I pat dry my face after a shower. I did only get a baby bar for sampling, but because it didn't come with a dish, it's been scattering soap scum all over my shower, urgh! I used this cleansing bar from my acne on my chin before using Roaccutane, and found that although it was drying, it didn't really do much to stem my breakouts. Also found it difficult to use as soap would foam too much for just your facial area, and would waste product. Would be best for people who need to reduce oil on large areas on the body, such as back, chest and face. Gifted Mum as she has blemishes on her skin which are getting worse with her age. Thanks to this soap its clearing her skin without drying. Clinque you've done it again! My first use was when I fell in love with this product. It has removed many small blemishes from my skin from time to time and as I can't afford expensive products I am lucky my big sister is a counter manager for Clinque and I get free products. I love it! This soap is lovely for the body especially after exercise!!! From the first use it leaves skin feeling refreshed and silky smooth. I didn't have many blemishes, but the small amount were gone after 2-3 uses. My blemished have been prevented ever since. Want in on skincare solutions that'll make your complexion concerns a thing of the past?